Let's say that despite my addiction for shoes, I generally don't spend much time at Footlocker! In fact, I only own one pair of training runners (converse and wedge sneakers not counted) and it was purchased almost a decade ago...time to upgrade? Yes, please! 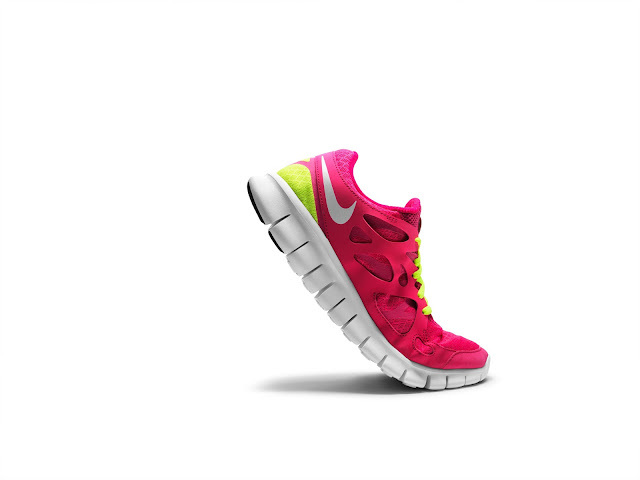 So, I've decided on a pair of Nike Free Run+ in fuchsia pink. Now, is it silly to buy a new pair of runners just for to and from my yoga classes and have absolutely no intention of jogging/running in them?